As established leaders in equine health, we are dedicated to the performance and complete wellbeing of your equine athlete. Driven by our passion for returning horses to peak performance, we are committed to providing owners, veterinarians and trainers with exceptional service. Our Equine Sports Medicine Service offers innovative and highly specialized care for all equine athletes. By utilizing advanced diagnostics and surgical techniques, we can ensure your horse receives an accurate diagnosis and the best opportunity for a full recovery. Our Equine Sports Medicine Complex and arena allows for horses to be evaluated in a safe environment and across a variety of different surfaces to optimize results. We specialize in the diagnosis and treatment of lameness and performance-related conditions and perform advanced surgeries that include but are not limited to arthroscopy, fracture repair, arthrodesis (joint fusion), CT-guided surgery, kissing spine surgery (ISLD), laryngoplasty (tie-back), laryngeal tie-forward and sinusotomy, all within Tufts Equine Center. We understand the negative impact that poor performance can have on horses at any level of competition and across all disciplines. From elite athletes to eventers, jumpers, hunters, dressage, western performance, racehorses, endurance and pleasure horses, our team has the critical expertise, tools and resources to heal your athlete. The Sports Medicine and Surgery team offers innovative and highly specialized care ranging from comprehensive lameness and poor performance examinations to advanced surgeries and diagnostics. Learn more about our services and surgeries. Learn more about available advanced diagnostics. Learn more about available therapeutics. The Sports Medicine and Surgery team is led by Drs. José M. García-López and Kirstin Bubeck offering innovative and specialized care for your equine athlete. 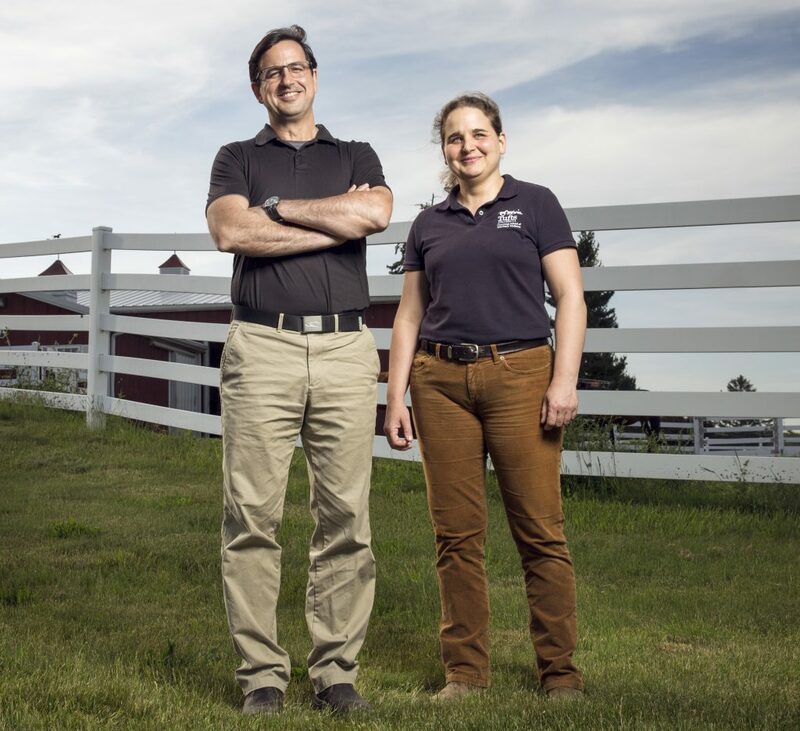 The Equine Sports Medicine Complex is a vital asset for Tufts Equine Center. 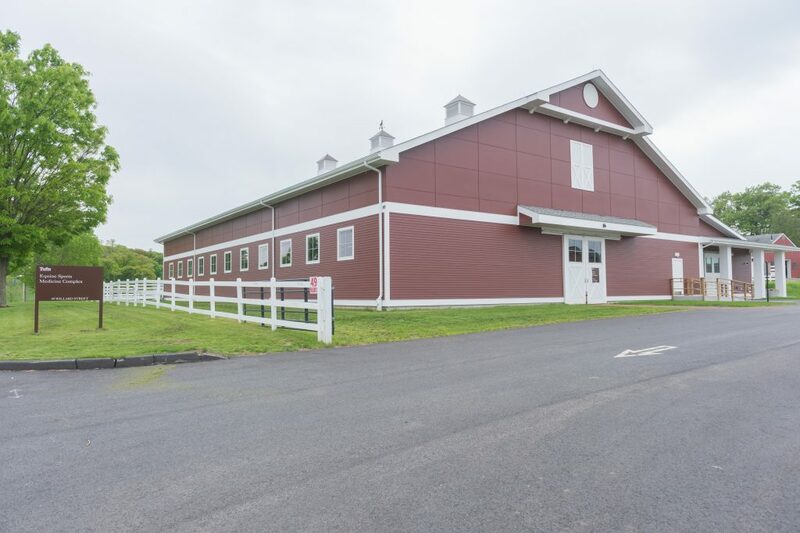 The innovative complex is home to an 80x120 foot arena, large holding stalls, open examination/treatment areas, a client consultation room and outdoor holding paddocks.